Much more than a stunning location, Sydney is one of the world’s most multicultural cities - an international fusion of culture, languages, and ideas with nearly five million residents. Sydney is both energetic and engaging, a hub for innovation across a number of industries. Spend endless hours exploring Sydney’s famous beaches and coastal walks. The sparkling waters of Sydney Harbour await, a playground for Sydneysiders and visitors alike. Bordering Sydney harbour you’ll find national parks, World Heritage sites, hidden beaches, and abundant Aboriginal heritage. At night, take in a show at the iconic Sydney Opera House, enjoy a meal at a historic Sydney pub, or delve into Sydney’s live music scene. An IES internship develops your professional skills, your ability to communicate across cultures, and provides substantive work experience to jump-start your career in today’s competitive job market. You’ll be guaranteed an unpaid internship placement at a local business or organization, where you’ll work up to 35 hours a week. We will work with you to find the closest match between your expressed preferences and professional goals with what’s available via IES Internships in Sydney. Before you depart, we work with you to fine-tune your résumé, perfect your cover letter, and hone your communication and interview skills as we prepare you for working in a new cultural environment. We want to make sure that your greatest challenge is deciding which beach to see first or discovering the best coffee in Sydney—not finding a place to live where you feel comfortable. We do our best to locate housing that is reflective of how the local students are living. Our housing has a community feel which inspires our students to make lifelong friendships while abroad. Our goal is that when you leave Sydney, it will feel like home. 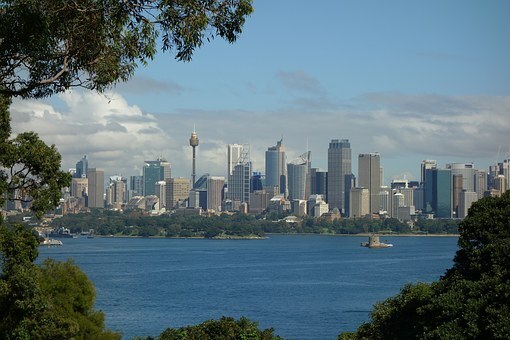 IES Abroad housing in Sydney enables you easy access to the Central Business District and Sydney’s famous landmarks. Public transportation is close by. Commute to work via bus, train, or ferry. Apartments - Live in a two-bedroom apartment in a multi-unit apartment building. You will share your two-bedroom apartment with 3 IES Abroad roommates, sharing one of the two bedrooms with one of those roommates. Meals are not included/provided but there is a kitchen in the apartment in which to prepare meals. Spend your free time getting to know Sydney and its surroundings through IES Internships-planned cultural events and optional field trips to places like the Blue Mountains and The Royal National Park. Vivid Sydney – a festival of light, music and ideas! Vivid Light transforms Sydney into a wonderland of 'light art' sculptures, innovative light installations, and grand-scale projections for all to enjoy. The Sydney Film Festival - this festival showcases the best in cinema from across Australia and around the world, including features, documentaries, short films, retrospectives, restorations, animation, and more. One of the world's oldest film festivals, Sydney Film Festival reflects the historic development of the Australian film industry. Winter Festival – located at St. Mary’s Cathedral, Winter Festival Sydney offers winter activities and entertainment, including a large outdoor ice skating rink. During your time in Sydney, you’ll likely want to explore what the rest of this vast country has to offer! Whether it be a weekend in Melbourne, a trip to the Great Barrier Reef, or sleeping under the stars in the Outback, the possibilities are endless. The Sydney Center staff are available to help you plan trips further afield, to maximize your Australian experience.